The faithful embrace their calling – even when it doesn’t seem to make sense. Just ask Daniel Kirkley, the gifted young vocalist who abandoned a promising medical career to enter the mercurial music business. Daniel Kirkley is the first to admit he doesn’t have the answers, but his spirit constantly searches for them. That leap of faith has been rewarded. 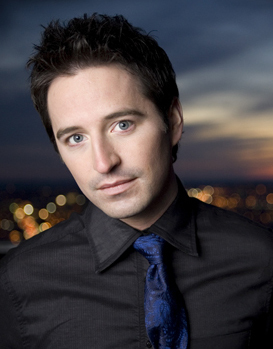 Daniel has become one of Christian music’s most talked about new artists, attracting top talent to his cause, including award-winning recording artists and songwriters Nicole Nordeman and Cindy Morgan and producers Matt Bronleewe (Jars of Clay, Michael W. Smith) and Mark Hammond (Josh Groban). In the spring of 2000, Daniel moved to Nashville, Tennessee, to pursue this calling. He was accepted to attend one of the nation’s premier music schools, Belmont University. After moving to Nashville, he was met with an array of opportunities that affirmed the leap of faith was the right one. Daniel interned with BMG Publishing’s Gospel Division, where he learned about the ins and outs of the Christian music industry. And then doors began to open. Hardly a month after graduation, Daniel accepted a job with Brentwood-Benson Music Publishing, the largest Christian publisher in the world. In May 2001, Daniel released his debut project, Uncompromised, on which he wrote/co-wrote the majority of songs. He released an independent album in 2003; not long after, he was signed on with Centricity Records. He then released his album “Let Love Win” featuring his first single, “My New Dawn” a song about a new beginning. When a friend introduced him to Guy Zabka, Director of A&R, at Centricity Records, he found a label home and people who were excited about his innovative sound. 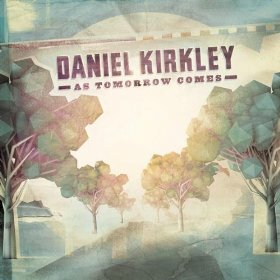 Kirkley’s vocal style incorporates elements of his classical training, fused with vibrant pop sensibilities, and the blend results in a unique sound, unlike anything on the contemporary Christian music landscape. Daniel's rich full voice is seasoned by years of performing and tempered by a classical education that places Kirkley in a class by himself as a vocalist. Daniel Kirkley’s story reminds us that sometimes, we have to take big steps of faith, but when it is what God calls you to do, He has a way!